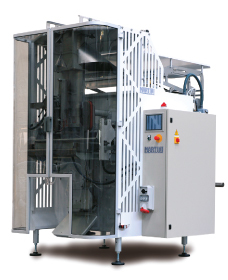 MX800 is Martini’s proposal for needs of packaging sizes up to max 380mm width starting from a film reel of 800mm width. Thanks to our experience we can propose a machine adaptable to different needs with the same characteristics of customization of smaller models. We will provide you the perfect optional equipment for an optimized packaging process based on a thorough analysis of your production needs. Auto centering driving belts driven by 2 brushless motors. Optional use of hot air vertical sealing unit. Robust design suitable for bulk packing applications. Pillow, Gusseted or Quadseal options.